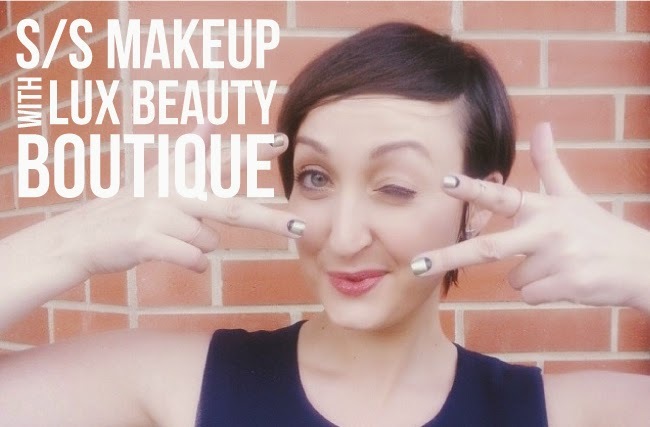 The makeup and skincare experts at Edmonton's Lux Beauty Boutique invited me in for a one-on-one makeup tutorial to try out some of their favourite products matched with some of my favourite spring/summer trends. We had a blast playing with different products, and you can see from the behind the scenes video and photos - I was stoked on the results. 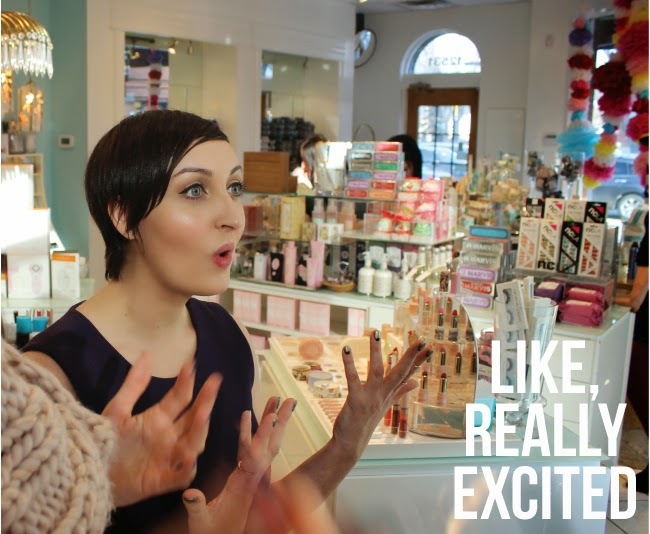 For more photos and all the details on how they achieved the looks head on over to the Lux Beauty Boutique Blog. The two products I instantly fell in love with? Geisha Ink's Liquid Eyeliner, which is hands down the best tool for winged liner I've ever used, and the RMS Beauty Living Luminizer, which made my skin glow with some kind of magic bioluminescence. OMG! I love your nails! Where did you get those?